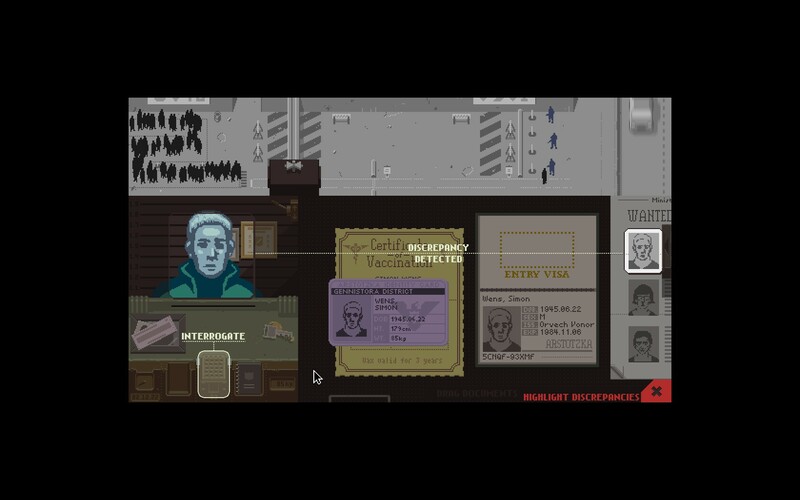 The Refined Geek » Papers, Please: Arstotzka Welcomes You. Papers, Please: Arstotzka Welcomes You. I’ll have to be honest when I say that when a game comes at me out of no where I have a tendency to shoot them down. All those hours spent shuffling through the Steam store looking for games to review has shown me some pretty oddball titles and after a couple not-so-great experiences I’ve come to cast a skeptical eye in their direction. Just because a game tries something new or different doesn’t necessarily make it good and whilst I (and many others) might deride the generic indie 8bit styled platformer puzzler which has become the norm these days developers of such titles do seem to have better hit rates. 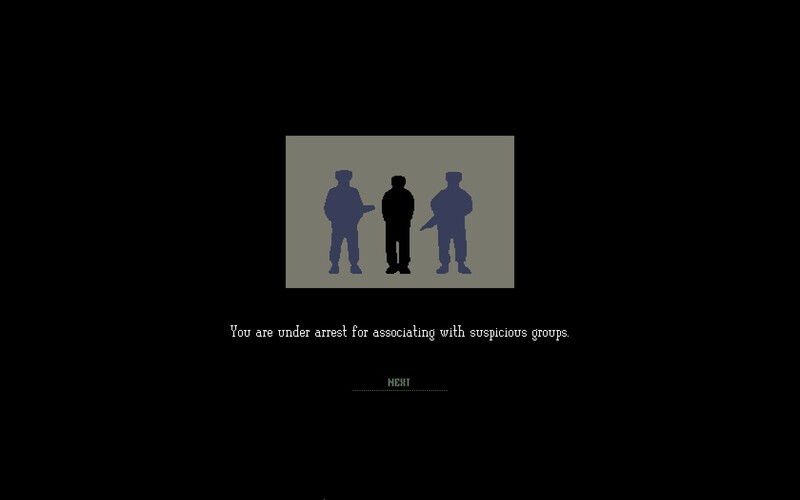 Still after a boozy night I, along with a close mate, watched a good hour long Let’s Play of Papers, Please and I can say this unique game gets a lot of things right, especially when it comes to forming a compelling narrative. Congratulations, the screen reads, the October labor lottery is complete. Your name was pulled. For immediate placement report to the Ministry of Admission at the Grestin Border Checkpoint. An apartment will be provided for you and your family in East Grestin, expect a class 8 dwelling. With that you’re thrown into your new job as an admissions officer for the border to Arstotzka with little more than a handbook to guide you through all the rules, regulations and potential threats that might cross your path. Whilst these rules appear to be easy to apply at first they become increasingly blurry as you learn more about the people coming through the border and the greater geopolitical landscape. 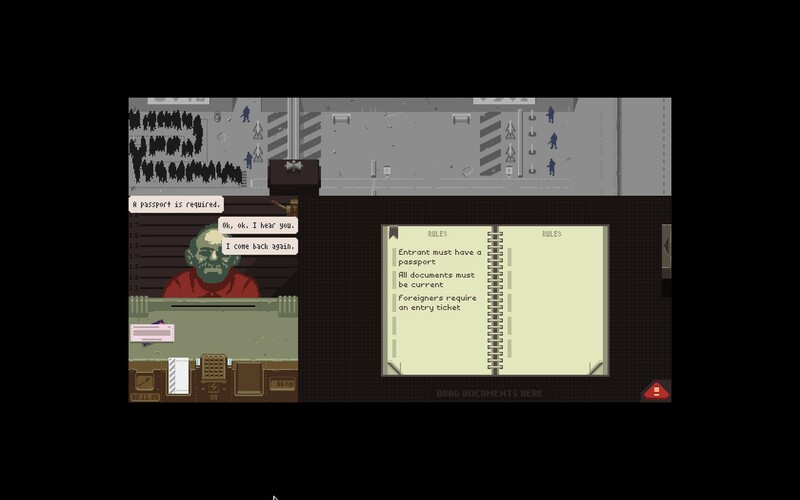 Papers, Please has that familiar pixelart style reminiscent of old adventure games. It makes use of a decidedly dreary color palette done obviously to create that oppressive Soviet-esque feeling that permeates throughout the game. One thing that really stuck with me in the game was some of the foley for the various things you do, just routine things like stamping and moving paper around, I’m not sure exactly why it did although it could be that with everything else being so dark and drab those sounds seemed so much more joyful than they really were. That’s probably the only thing that marks the game as being from this generation as otherwise it wouldn’t be out of place was it released 15~20 years ago. 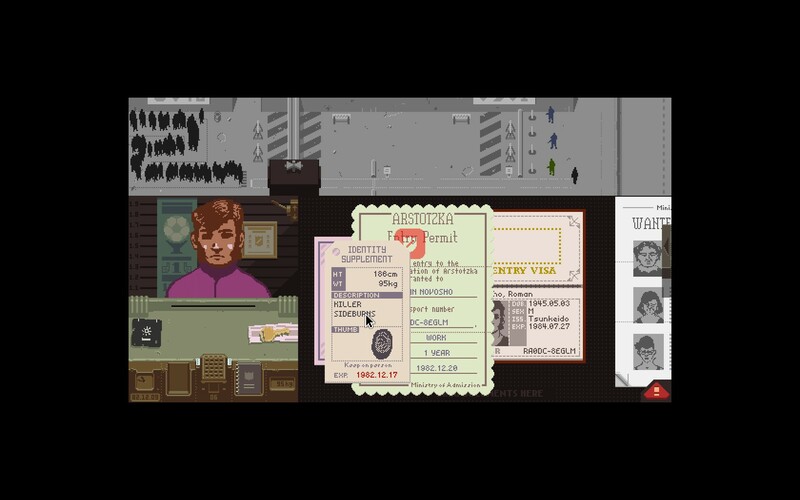 The basic premise of Papers, Please couldn’t be anymore boring: you’re a border agent charged with verifying documents before granting people access to your country(indeed my wife asked me if I was “Playing DMV” when she first saw me fire this game up), Arstotzka. Essentially this entails taking the documents given to you by immigrants, checking them over for errors and then, based on the evidence you have in front of you, deciding on whether or not to let them in. In the beginning it’s rather simple as you’re only required to verify obvious things like the dates being current and the details on various documents matching each other but as time goes on the rules start to get rather complicated and there’s all manner of things that could be wrong that you probably won’t notice the first time around. Indeed thanks to watching an hour or so of someone else playing Papers, Please I was able to breeze through the first couple days without much of a hassle. That started to change however as other documents started being added to the mix as any additional document was always a chance for something to be out of line. Worst still is that when you’re introduced to a new mechanic, such as seals potentially being forged, you’ll instinctively scrutinize that aspect very closely in the beginning (and the game will usually throw you an example of the new rule as the first immigrant of the day to test you out) which will lead to you missing things in other areas. I can’t tell you how many times I let someone through only to find out that I’d missed something as obvious as their gender not being correct, giving me a citation. Of course this would be a rather hollow exercise if you didn’t have some kind of motivator pushing you to cycle through as many of these as you could and Papers, Please gives you one that works beautifully but is also incredibly dark. You’re the sole income provider for your family, tasked with paying the rent and providing them with heat and food. For each applicant you process successfully you’ll receive 5 dollars and in order to keep your family happy you’ll need to process at least 10 of them a day. That sounds easy right? Well you have a time limit and when that clock starts flashing you start wondering if you’ve done enough and that’s when you start making mistakes. Of course there are opportunities for you to supplement this income should your moral compass be flexible enough to accommodate it. 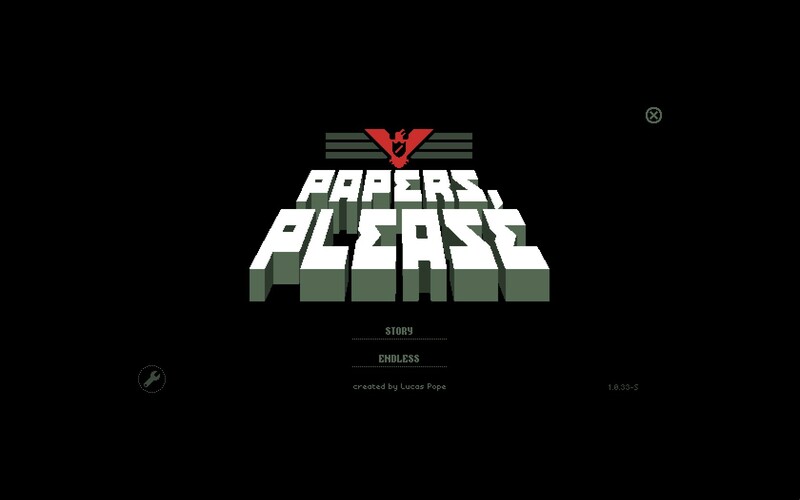 This is where Papers, Please starts to shine as whilst the mechanics are solid enough to carry it on its own (there’s a reason why the developer included an Endless mode) the narrative that drives it is by far some of the most compelling and depressing that I’ve encountered in a long time. Whilst the choices seem arbitrary initially, like whether or not to admit someone based on what another person has said, you’ll quickly find out that your actions have consequences with many of them not being a simple case of if I do X now Y will happen later. Indeed even if you try your hardest to avoid any kind of conflict you’re likely going to find yourself being pushed into a corner where you’ll have to make a choice that you don’t entirely agree with but will have to do if you want to keep on playing. When I first started playing Papers, Please I decided that I’d be a by the book kind of guy, ruthlessly applying the rules as they were given to me so that there was no conceivable way I could get into trouble with anyone. This works, for a while, until I got into the uneasy position with The Order where they gave me a truckload of cash. Of course being by the book I denied the second agent from getting in and of course a couple days later I find myself in jail. No worries I thought, just let him through and then I can go back to being the guy I wanted to be, and so I did but that was just the beginning of my moral compass turning south as from that point I started to make more and more compromises until I got to the point where I was just doing everything I could to survive and that’s when things started to get really hairy. I found myself weighing up bribes and how many violations I had remaining for the day to see what I could get away with in order to make the maximum amount of profit. Whilst I tried to keep myself as moral as I could, like hanging onto a watch for a guy when he said he’d be back for it with all the required paperwork, if there was an opportunity for me to make money I’d take it. This reached a fever pitch when I was told I’d be audited soon as I knew that’d be the end of me so suddenly my objective of just surviving turned into a no holds barred approach to get me and as much of my family out of there as soon as I could. Thinking back over it I’m really quite surprised how quickly I changed from being a cold, uncaring border agent to someone who’d do anything as long as the price was right, even though I couldn’t point you to a time when everything changed. Papers, Please is a true gem of a game, one that could have easily been considered a top notch title based on either its core mechanics or its driving narrative. The combination of both produces an intoxicating game that draws you into its dark world and refuses to let go, forcing you to rethink how you’re playing it and to question your moral compass, whichever way it points. I could go on but honestly its a game where your experience with it will be quite unique as you navigate your way through the moral hazards, political traps and unrelenting drudgery that is the world of Papers, Please. Papers, Please is available on PC right now for $9.99. Total play time was approximately 5 hours with 23% of the achievements unlocked. Glory to Arstotzka.